The Lawther-Deer Park Prairie Preserve contains 300+ grasses and plants to date that have been identified, and listed in a database. Many of them are readily seen by scanning your eyes over the prairie. Many of them are small, and require closer inspection. The same thing holds true for the subject of this post. 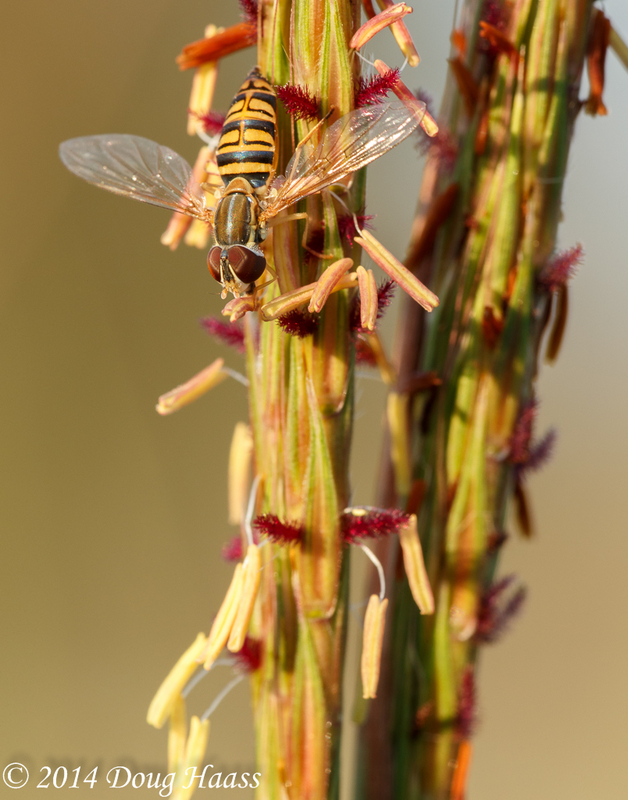 While Big Bluestem (Andropogon gerardi) is tall and beautiful, this Yellow Jacket Hoverfly (Milesia virginiensis) at 1/2″ length can barely be seen without a closer look. Photo taken Sunday September 19, 2014.